GripDeck anti-slip decking can be found at the historic and beautiful Urquhart Castle, owned by Historic Environment Scotland. 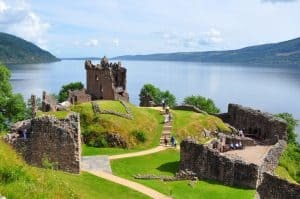 It is one of their must see visitor attractions, located in the Great Glen, the magnificently situated Urquhart Castle can be found on the shore of Loch Ness, and has seen some of the most dramatic chapters in Scotland’s history. 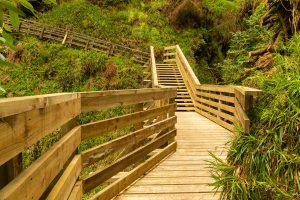 Softwood decking with GripDeck® non slip inserts was supplied to a company on the Isle of Man, who created a bridge for one of the many walking trails on the Island. Access was extremely limited, so the materials had to be helicoptered into position. Lee Wick Farm is a working potato farm which has branched out into the holiday let market. It has a combination of cottages and pods for rent. 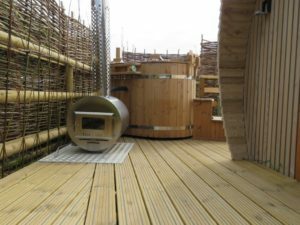 The Armidilla pods are surrounded by our grooved softwood decking with 2 anti-slip inserts. The decking terrace is perfect for eating breakfast on and watching the sun set in the evenings in the hot tub. 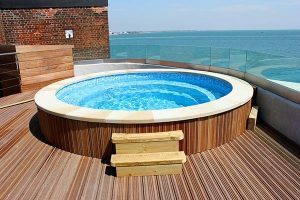 GripDeck® anti-slip decking was installed on theluxury island retreat of Spitbank Fort, providing a safe environment on the roof terrace and around the hot tub. This is one of three spectacular man-made forts, built as a line of defence against enemy attacks on the Solent and Portsmouth. Our hardwood anti-slip decking is what you will stand on if visiting the viewing platform on The Shard. 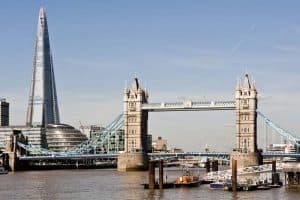 The Shard is only the tallest building in London. Standing at 310m high, it offers amazing views for up to 40 miles on a clear day.